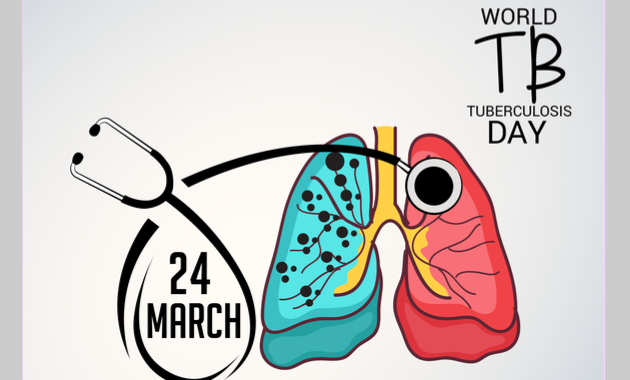 24th March is observed as World Tuberculosis (TB) Day every year. The theme for 2019 is “It’s Time” which aims at scaling up the treatment and prevention measures and end stigma to raise awareness about the condition. Tuberculosis (TB) is one of the top 10 causes of morbidity and mortality in the world including India. There were an estimated 10.4 million new cases and 1.8 million TB deaths globally in 2015. According to The World Health Organization’s (WHO) 2017 Global Report on tuberculosis, nearly 2.8 million people fell ill with TB in India in 2016, which alone accounted for nearly a quarter of the world’s TB burden. Off these, around 435,000 people lost their lives to TB that same year. This World TB day, it’s time for all of us to be well aware of the condition and know in detail about the risk factors and symptoms of tuberculosis. Tuberculosis is a serious infectious disease that mainly affects the lungs. It is caused by a bacteria called Mycobacterium tuberculosis. The bacteria can affect other parts of the body such as the skin, intestine, lymph nodes, spine, and even the brain. The symptoms of tuberculosis in such cases are based on the site of the infection. Tuberculosis can be prevented and if proper care is taken (which involves diet control, taking medications on time and regular doctor visit), the condition can be completely treated. TB usually spread from one person to the other through the air. When a person suffering from TB sneezes, coughs or spits, the bacteria gets into the air. Hence, when a person inhales even a few of these bacteria from the air, he/she becomes infected. Although it is contagious, the bacteria grows at a slow rate and requires you to spend considerable time around the person who is sick. Hence, family members, friends, and co-workers are at high risk of suffering from TB than others. Moreover, the bacteria do not spread by shaking hands or sharing food with a person suffering from TB. Click Here To Book A Test Online @1mg Labs NOW! Who Is At Risk Of TB? It goes without saying that you are at risk of getting infected if you come in contact with a person who is already suffering from TB. The disease mostly affects people in their productive years, however, it doesn’t mean kids do not get the disease. As per the WHO statistics, one million children in the age group of 0–14 years fell ill with TB and around 230 000 children died from the disease in 2017. Infants and toddlers are at great risk because their immune systems are not fully developed. Are infected with Human Immunodeficiency Virus (HIV): According to the WHO, people with HIV infection are 20 to 30 times more likely to develop active TB. Have low/poor immunity: People with immunocompromised conditions or those on medications that lower immunity such as steroids is at risk of TB. Moreover, conditions such as diabetes and cancer can increase the risk of TB due to low immunity. Use tobacco or smoke: The use of tobacco or smoking can increase the risk of TB as it has a significant effect on the lungs. It is reported that around 7.9% of all the cases of TB in the world are attributed to smoking. What Are The Signs And Symptoms Of TB? Latent TB: This is a form of TB in which you might have the bacteria in the body but your immune system prevents the bacterial infection to occur. As a result, you do not show any symptoms of TB as you do not fall sick and thus, cannot spread the disease. However, as the bacteria is still present in the body there is a high chance that it might become active any day. People infected with TB bacteria have a 5–15% lifetime risk of suffering from the condition. Active TB: This form of TB means that the bacteria have caused an infection and make you sick. You are contagious and hence, can spread the disease to people around you. Around 90% of cases of active TB in adults is known to be due to reactivation of a latent form of TB. How Is TB Diagnosed And Treated? Sputum test is one of the common tests that is used for many years for the diagnosis of TB. However, it requires technicians to look through a microscope to detect the bacteria. This helps in the detection of only half the cases of TB and also cannot detect drug-resistant TB cases. WHO recommends the use of rapid TB test which not only gives accurate results in less than 2 hours but also detects resistance to rifampicin, which is a common antibiotic used to treat symptoms of TB. TB is a treatable disease however the patient has to strictly adhere to the treatment procedure which usually lasts for six months. As per WHO estimates around 54 million lives were saved through TB diagnosis and treatment from 2000 to 2017. So take the medications as advised by your doctor and complete the course, failing to do so can not only lead to recurrence of the disease but also make it more difficult to treat due to drug resistance. 1. Tuberculosis. World Health Organization. 2. Prasad R, Gupta N, Banka A. 2025 too short time to eliminate tuberculosis from India. Lung India. 2017 Sep-Oct;34(5):409-410. 3. Tuberculosis (TB). Lung Health & Diseases. American Lung Association. 4. Dias HMY, Pai M, Raviglione MC. Ending tuberculosis in India: A political challenge & an opportunity. Indian J Med Res. 2018 Mar;147(3):217-220. 5. Prasad R, Singh A, Balasubramanian V, Gupta N. Extensively drug-resistant tuberculosis in India: Current evidence on diagnosis & management. Indian J Med Res. 2017 Mar;145(3):271-293.